Long-running Brit new jack thrash metal institution the Haunted have announced details and a release date for their upcoming live DVD/CD collection, Road Kill. And it looks like fans will have something to look forward to apart from entertaining between-song metal-guy banter. The main thing that's going to get Haunted followers all hot and bothered is that the release contains five studio tracks recorded during the sessions for the band's last full-length, 2008's Versus, which didn't end up on the album and now appear as Road Kill bonus tracks. 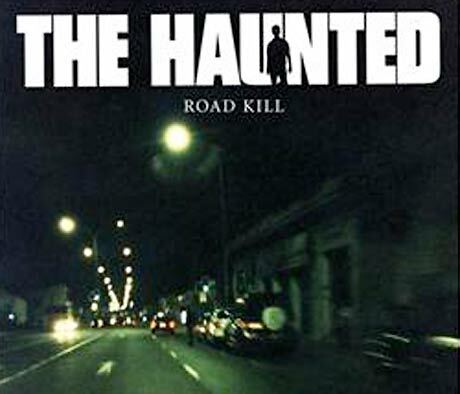 Road Kill also contains a 16-song live set recorded in Amsterdam last year, a 65-minute documentary called On the Road with the Haunted, six music videos, and liner notes from all band members. Check below for the tracklisting for the live concert and bonus studio tracks. Road Kill will be released as a DVD/CD set, a CD and a digital download through Century Media Records on June 8 (April 19 for those lucky European fans). In other Haunted news, the band has been hand-picked by none other than Slayer to open up for the thrash legends on their summer European tour and are currently working on new material for the follow-up to Versus. The Haunted "Eye of the Storm"